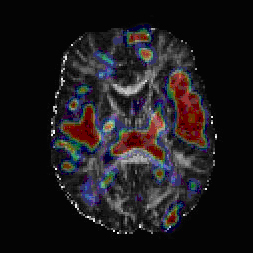 Composite of brain scan showing areas (red and to a lesser extent blue) where white matter fiber tracts and surrounding tissue differed between schizophrenia patients and controls. Paranoid Schizophrenia is one of many different kinds of the mental illness schizophrenia. Those suffering from this particular strand are often prone to a greater amounts of delusions or hallucinations (especially auditory hallucinations). This condition can also result in serious conditions including depression and potentially suicidal behavior. Surprisingly, however, paranoid schizophrenics are usually much more capable of functioning normally than other types. They usually have fewer problems regarding memory, concentration, or dulled emotions. It is important to note that not all sufferers of paranoid schizophrenia are effected to the same degree. Some may experience entirely different symptoms than others. Many of the symptoms of paranoid schizophrenia are easily recognizable, such as auditory hallucinations. Many often think they are hearing voices. Often times, these voices will be threatening and demanding. The disorder may cause other sensory hallucinations involving taste, feel, and interestingly, even sexual sensation. Treating paranoid schizophrenia is often made problematic due to the patient. Many of the symptoms of paranoid schizophrenia tend to subside and then return. Therefore, often during the treatment process, the patient will begin to feel better and will stop going through treatment. Then later on, the symptoms will return and they will be right back where they started. Therefore, to properly treat paranoid schizophrenia, one must stay under constant treatment. Treatment is often situation specific. Some people may have different or more severe symptoms than others. Thus, a lot of work goes into deciding what kind of treatment to use. There are 3 basic types of treatment for paranoid schizophrenia and other types of psychosis. The first is through the use of medications called antipsychotics. Many sufferers that take the drug route use one of common types. The first type is known as First Generation or typical antipsychotics. These types of medications treat symptoms by targeting brain chemicals called neurotransmitters. These types of antipsychotics are often times very effective for treating positive symptoms such as hallucinations or delusions. However, these drugs often have very detrimental side effects such as tardive dyskinesia(involuntary facial movements) or jerking motions. 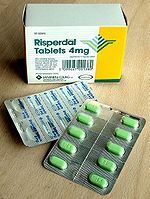 These drugs have a lot of popularity due to the fact that generic versions are much cheaper than most newer counterparts. The first is individual therapy. This type focuses on the individual that is suffering from the disorder. The psychiatrist helps the patient cope with their symptoms. Many times individual therapy helps paranoid schizophrenics to better understand their disorder. This results in improved motivation and a better understanding of the importance of using their medications. An estimated 85% of schizophrenics are also heavy cigarette smokers (as well as 60 to 70% of those with bipolar disorder). These users of tobacco products also smoke two to three times more than the average person. Fascinatingly, 44% of cigarettes used in the United States are used by the mentally ill. As it is well known, the use of cigarettes causes a substantial amount of deaths in the United States each year. The deadly effects of cigarettes make this the most dangerous risk factor for schizophrenics. 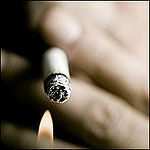 In fact, experts estimate that smoking causes the deaths of 200,000 mentally ill patients each year. Studies show that smokers who also suffer from schizophrenia use the harmful substance because it helps to lessen the cognitive effects of the illness. Doctors are working to produce other nicotine like alternatives to cigarettes to help these patients. Researchers have found that the use of marijuana and other street drugs including LSD, methamphetamine, and even alcohol greatly increase one’s chances of developing schizophrenia. A study produced by the Swedish army found that of 50,000 members, those that used marijuana at the age of 18 were 600% more likely to develop schizophrenia within the next fifteen years than those who had never used the drug. In fact, researchers estimate that 8 to 13% of all schizophrenia cases are linked to marijuana use during the adolescent years. Researchers have found that the younger the user of marijuana, the more likely they become to develop psychosis or schizophrenia. Many scientists agree that the primary cause of this effect on the brain is the increased level of dopamine. Dopamine functions as the neurotransmitter in control of movement, emotion, motivation, and the feeling of pleasure. The primary reasoning behind this odd phenomenon is credited to the fact that during the teenage years, the brain is especially impressionable. Many studies have been done all over the world in regards to marijuana's effect on psychosis and other related disorders. In New Zealand, researchers found that those who had used the drug were three times more likely to develop schizophrenia or another form of psychosis. English Professor Robin Murray conducted a fifteen year experiment on some 800 adolescents. In general, of those who reported using marijuana regularly at age 15 were 4.5 times more likely to be schizophrenic at age 26. Additionally, of those who said they were regular users at age 18 were 1.65 times more likely. All the studies seem to come to the same conclusion. No matter how much or how often a person uses marijuana or other drugs, they greatly increase their chances of developing a brain disorder such as paranoid schizophrenia. This page was last modified on 3 January 2011, at 00:54.